Create extra storage space in the corner of any office or cubicle with this corner shelf. 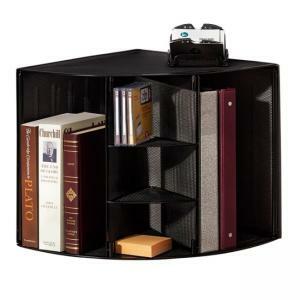 Great for storing binders, catalogs, books and more. Divider keeps contents upright. Corner shelf is made of durable rolled steel mesh.